But the crops were harvested in perfect condition. Fairly light red colour with signs of evolution. The nose is evolved but very elegant with notes of old leather and spices. The mouth is also very elegant with a Northern style and a good acidity. Pinot enthusiasts will love this wine. 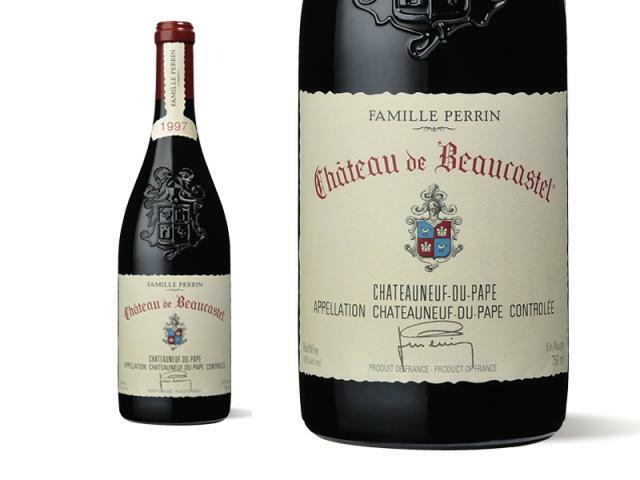 Yields for the 1997 Chateauneuf du Pape were tiny, averaging 22 hectoliters per hectare, and the wine is one of the most seductive and forward young Beaucastels I have tasted since the 1985. The blend was 35% Mourvedre, 30% Grenache, 10% Counoise, 5% Syrah, 5% Cinsault, and the rest other southern Rhone varietals. The deep ruby color is accompanied by forward, attractive aromatics consisting of black raspberries, cherries, licorice, floral, and herb scents. The wine is fruit-driven, with less structure than usual, but luscious cassis, licorice, and blackberries inundate the palate with no hard edges. A seductive, supple-textured, medium to full-bodied Beaucastel, this wine should drink well young, and last for 15 or more years. Medium ruby in color, this wine smells of beautiful cherry and raspberry fruit, wet stones, and a bit of crushed green herbs. In the mouth the wine is still a bit compressed, more narrow, with mineral and wet earth character along with cherry and raspberry fruit that are all held firmly in the grip of powdery tannins. The finish is a little shorter, but the acidity is excellent, and the deep minerality of the wine shows through. 1997 was a cold, rainy vintage, and widely dismissed as a poor year.